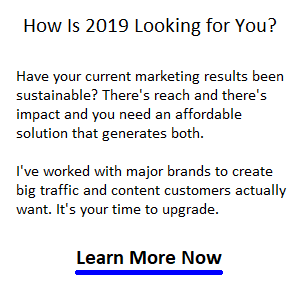 Are you thinking about how to triple or quadruple your sales in 2018? After just a little thought, you may discover what these 2 reports from Inc.om and Entrepreneur.com below reveal, that there are some great cities to build your business and achieve strong business results. And before you’ll do it, you’ll want to take a little time to consider how the market could be peaking, technology changes, and competition in your own market. What really is the 5 year outlook in your city? What would expansion do for the mood and outlook of your staff? It doesn’t always follow that warm climates translate to business friendly climates, yet the US south might be where the most potential is. Wherever you decide to grow, it’s an exciting challenge that you’ll want to put on the front burner right now. These cities may be the key source of your future business revenue. Is Growth of 300 to 400% Attractive? What Makes a Great City to Venture Into? Inc’s team found that diversity of industry sectors and a pro-business/pro-development political environment makes for the best ROI. 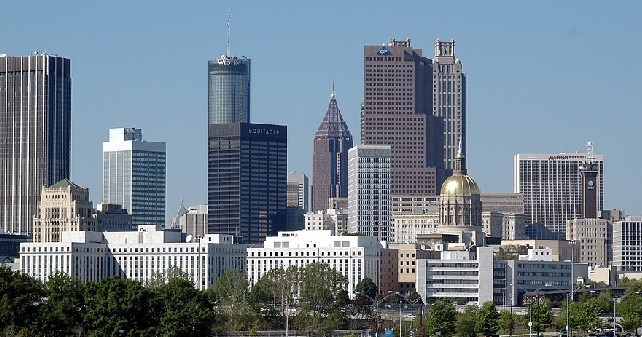 Cities such as Atlanta, Houston, Austin, and San Diego get high marks. The reports also reveal other cities which might be a better bet. One aspect they didn’t discuss is the attractiveness of the city as a place to live or visit. A good question for a private moment is, “do I really like this place.” That’s why many SMB owners prefer Florida and California. The connection between optimism and opportunity shouldn’t be underplayed. Some cities have a great atmosphere and lifestyle and that translates to better quality clients. And who doesn’t want a dream client? Your dream client strategy is simplified when you’re approaching companies in these amazing markets. In fact, the report suggests we all need to change our attitudes about the cities we thought were ideal for new business development. Cities like San Francisco and Boston may not have the outlook that Fresno, San Antonio, Jacksonville, West Palm Beach, Tampa, or Orlando now possess. 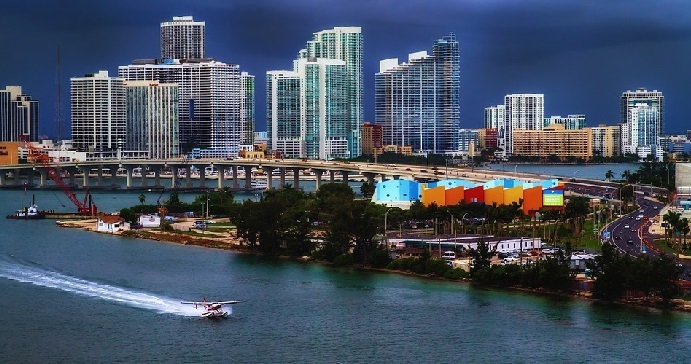 The cities in Florida held the highest overall promise, and in the aftermath of the 2 recent hurricanes, you have to think Florida is the new holy land for new business growth. I mentioned in the best cities for real estate investment and best cities for jobs and best cities to live in posts, that certain states seem to have better momentum. California might be expensive and overly regulated, but if you’re starting up a satellite office to create connections in Los Angeles, San Diego, Orange County and San Jose, the diversified, high tech economy here might be the answer to your business dreams. There’s a market fluidity in California that makes it inviting and perfect for your initial experiments at growth. 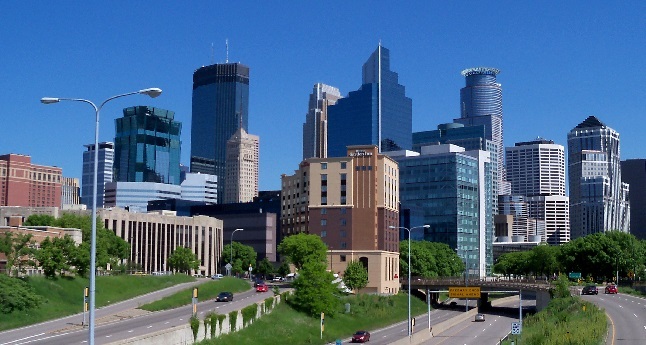 Minneapolis downtown courtesy of Wikimedia. Midwestern cities are among the highest rated in recent years. Entrepreneur Magazine also published a list of promising cities for new business development. A surprising number of cities in the mid west made it to the top. Lots of potential target cities for your business. To really know whether a particular city is the right location for your business expansion or new sales growth, you’d need to do extensive research. It does look as though Florida has the best momentum. However, a multi-city business development strategy for Florida doesn’t come without challenges. Florida is a big state with its own business culture, and the hispanic language element may pose challenges. California seems the one with the lowest risk, but if you’re stuck with the usual techniques, sales and media channels, and branding that everyone else uses, you might struggle. You need to be innovative. Growth strategies have to be built on a more organic approach that presents relevant value to specific types of businesses. Getting granular isn’t difficult. I’ve built and laid out digital content paths that created exposure for targeted types of clients all over world. And the quality of client is as good as your online content. In 2017/2018, your content alone determines who you will land as a future client. Successfully capturing clients from the UK, China, Russia, I learned the challenges of keeping each type happy. There’s more involved than winning. It’s a great challenge. If you want to explore new markets in Florida and California, or in Vancouver or Toronto Canada, contact me to discuss it. I score 10 out of 10 on innovation, and that’s the best stat I can present you with in a world where your CV means nothing, your experience is ancient history, and where only your ability to adapt and improve really matters.